Once upon a time, landmen and land companies used Excel Spreadsheets to input all of their records and data. Oftentimes, these records would have issues such as incorrect data, improper calculations, and can easily become unorganized in the process of the natural business cycle. When you’re working in the land management business, time is of the utmost importance. 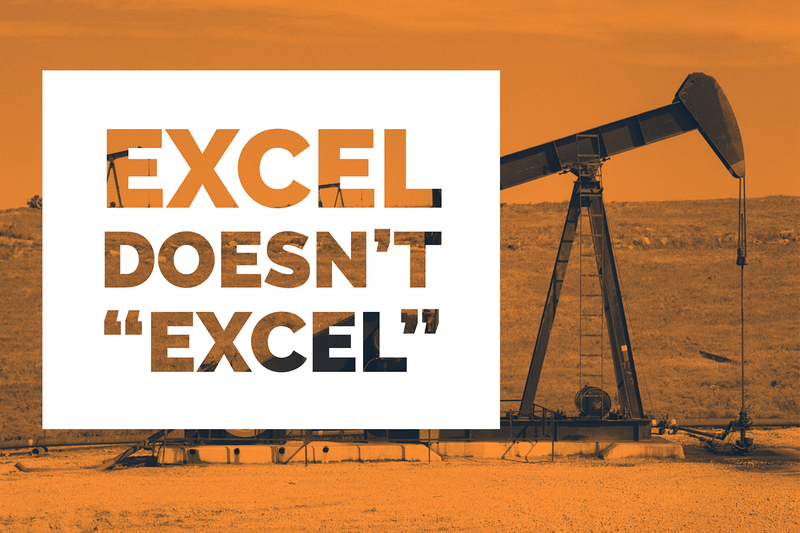 While Excel has many great features, Excel as an application can be an ineffective system. A major flaw with Excel is that no matter how you build a report for a customer, it’s always going to look like an Excel spreadsheet. When you’re trying to get business in the door, land businesses should have only one thing on their mind at this stage in the process – “What does this say about our business?” Sending out an Excel spreadsheet doesn’t exactly scream “land professional”. With land management systems, like True Land, all of your reports come at just the click of a button with a professional PDF template to send to potential clientele. The days of constantly scanning documents, organizing them in folders, and hiring a lot of administrative staff can be reduced significantly with land management applications. Allow your administrators to focus on keeping and maintaining clients. The True Land software, unlike Excel, allows for a more efficient research solution. Looking up project information and details has never been easier and more “real”. Real-time data allows for land professionals to be “in-the-know” with what is going on with their employees and centralize all important information into one application. With Excel, it can be delayed based on the workload of the individual(s). Reduce overhead and save money with a land management system like True Land. Excel is a static application. Meaning, Microsoft will likely not take into account how you do business or what your needs are for your business. It provides a lot of variety of resources but it does not work with you or will be willing to talk with you about your needs. The original programmers of True Land are able and willing to talk to you about what you will need for your business. If it’s a custom report, done. If it’s a change in viewability, or who can view certain records and who cannot. The fact is that True Land is much more than a land application. It’s a serviceable experience that’s meant to make land professional life easier. At the end of the day, it all comes down to cost. Should you hire additional employees to maintain Excel spreadsheet records? Or would it be better suited to purchase an application at a low monthly rate? The numbers speak for themselves. If you are looking to start a land business or transition from Excel, you may call us at 903-531-0377 or on our Contact Form below. We look forward to hearing from you!